entering their freshman year of college. To receive a scholarship from Manasota ASALH, African American students must be in their senior year in a school in Sarasota or Manatee counties, have earned a minimum of a 3.0 grade point average, and demonstrate leadership in their school and community. Scholarship applicants complete a written application and, if chosen to go to the next level, are interviewed by the Manasota ASALH Scholarship Committee. Selected awardees must provide documentation that indicates they are enrolled in a college of their choice in order for the scholarship funds to be released. The Branch awarded its first scholarship in 1998. Under the leadership of its first Chairperson – the late Dr. Shirley Ford – the Scholarship Committee selected a local thirteen-year old aspiring ballerina, D’Andrea-Joyelle Green. The scholarship award, which was made possible by membership and local organizations’ donations, provided much of the funds needed by this talented young lady to take advantage of an opportunity to study at the famed Alvin Ailey School of Dance. Ms. Green earned her Bachelor of Arts degree from Mercyhurst University in Erie, Pennsylvania and performed with several professional ballet companies. She now continues her passion for dance as a teacher, inspiring the next generation of dance artists. In April of 2000, Manasota ASALH sponsored its first Scholarship Sports Classic at the Rosedale Country Club, with the purpose of raising funds for scholarship awards to local high school graduates. The event was dedicated to, and later named after, Randy Rankin – a retired educator and member who had died earlier that year. The Randy Rankin Scholarship Classic was later moved to the Palm Aire Country Club to accommodate the growing participation at the event. Since its inception in 2000, and including 2014 event results, the program has enabled Manasota ASALH to award over $300,000 in scholarships to local African American students entering their freshman year of college. The 16th Annual Randy Rankin Classic was held Saturday, April 18, 2015 at the Palm Aire Country Club. The Scholarship Classic was sponsored by the KBR Foundation, Beecher Carlson, Michael & Luci Koch, and City Furniture, Inc. The event was also supported by area businesses, members, and friends. 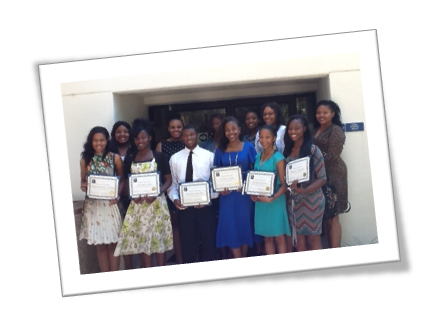 Pictured below are the recipients of the 2014 Manasota ASALH Scholarship Awards. On Friday, May 25, 2018, Manasota ASALH, the local branch of the Association for the Study of African American Life and History, awarded scholarships to 20 graduating high school seniors of Manatee and Sarasota schools, at the Library and Learning Center at State College of Florida. The speaker for the scholarship award program was Booker High School principal, Dr. Rachel Shelly. A passionate leader with a “heart” for students, faculty and staff, she is dedicated to helping every student succeed, and is either college or career bound upon graduation. Dr. Shelly was recently honored as 2017 Florida Principal of the Year. The scholarship awards are based on very rigorous criteria, including academic achievement, community service, extracurricular activities and a personal interview. Individual awards ranged from $1,000 to $3,000 and total $42,000 for the 2018/2019 academic year. Funds for the scholarships are raised primarily from the annual Randy Rankin Scholarship Golf Classic. Other funds are provided by contributions from members and non-members of the Manasota branch of ASALH. Generous multi-year contributions were also received from the estate of Patricia Lynch-Pepin, and her brother Danny Lynch, in memory of his sister, a dedicated and tireless volunteer with the Friends of the North Sarasota Public Library. The Ambassador Joseph M. Segars Scholarship is also a multi–year fund provided in his memory by the Segars and Bornstein families. A retired Foreign Service Officer, Ambassador Segars also served as Chair of the Randy Rankin Scholarship Classic, and the Scholarship Committee. Also, in 2017 new ASALH member Morrie Tharps and family made a generous pledge of $10,000 to the ASALH Scholarship Fund in honor of his late brother, Vernon Tharps. Since 2000/2001 Manasota ASALH has awarded a total of more than $370,000 in college scholarships to 217 Manatee and Sarasota county high school graduates. Manasota ASALH, the local branch of the Association for the Study of African American Life and History, awarded a total of $42,000 in scholarships to 20 Manatee and Sarasota High school graduates, at the Library and Learning Center at State College of Florida. Shown with students, bottom row from left: Leslie Porter, scholarship committee, Dr. James Stewart, President, Manasota Branch of ASALH, Bernadine Rice, Chair Scholarship Committee, and Kate Harris, scholarship committee. The 2018/2019 Manasota ASALH scholars are: Jalynne Brown, Manatee High School; Amara Merritt, Home School; Dequontez Lavender, Booker High School; Kiarra Louis, Southeast High School; Gabyrelle Francois, Southeast High School; Brinittee Johnson, Lakewood Ranch High School; Isis Madden, Lakewood Ranch High School; Daisha Mann, Manatee High School; Kenya Woodward, Booker High School; Serenity McNair, Braden River High School; Macee Boyd, Venice High School; Kenyvon Anderson, Lakewood Ranch High School; LeAsia McNeal, Booker High School; Tavares Campbell, Riverview High School; Alexis Dorrell, Bayshore High School; Shaleiya Lee, Lakewood Ranch High School; Zaira Moore, State College of Florida Collegiate School; Gianna Hager, Manatee High School, Nicholas Bratton-Cox, Braden River High School, and Makayla Murrell, Bayshore High School. 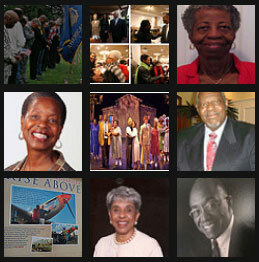 ASALH was established in 1915 by Dr. Carter G. Woodson; the organization is the founder of Black history month. The mission of the organization is to promote, research, preserve, interpret, and disseminate information about Black life, history and culture to the global community. The Manasota branch is the largest in the national organization. The Manasota ASALH Scholarship committee includes: Bernadine Rice, Chairperson, Joan Byrd, Garvey Clarke, Eleanor Merritt Darlington, Kate Harris, Vivian Johnson, Delores Jean Penn, Leslie Porter, and Enid Stewart. Dr. James Stewart is President of the Manasota Branch of ASALH. Front Row	Kaci Newsome, Maebell Grabill (Aunt/Guardian of Geraldine Henderson), Anthony Salerno, Monica Gilley, Edonya Timmons	Note: The other four recipients did not attend because of test schedules at school. Scholarships were awarded to the following graduating high school seniors in 2015:	Johnequeva Brice, Alexandria Bartley, Nancy Brooks, Frederick Chinwuba, Anitra Clark, Elzare Coquillon, Chantay Hyman, Jahmar Lambert, Shaquira Lawson, Aryana Lloyd, Janae’ Murrell, Alexander Parrish, Ashley Perry, Chandler Powell, Katlyn Michelle Scarlett, Dhayani Nathanael Sainvil, A’driana Sams , Destiny Sowell, Isaac Ezekiel Toye, Rueben Emanuel Velez, and Thomas Caleb Williams. An article which includes a photograph of the 2015 Manasota ASALH Scholarship awardees appeared in the Herald Tribune in June of 2015.